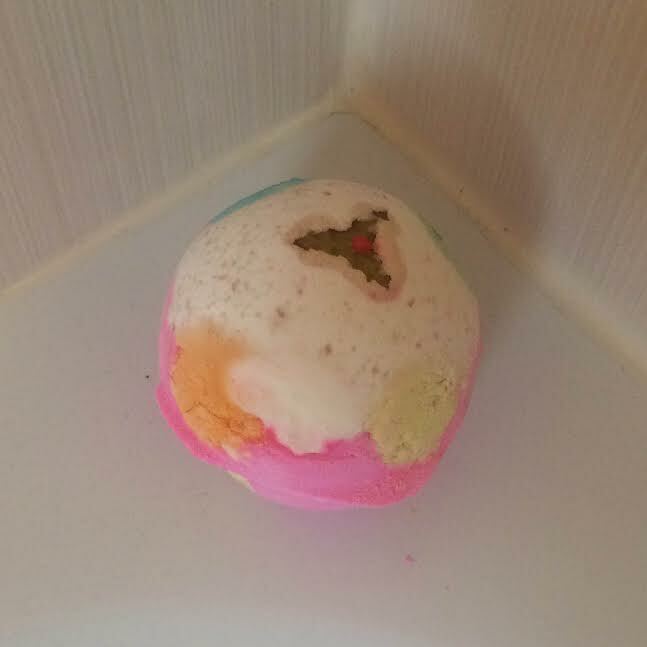 "Catch 40 winks on Christmas Eve with islands of sleepy foam and comforting lavender"
Probably a bit late to review a bath bomb from Lush of this nature, being festive themed and we're now in January, however this was one of my Christmas presents, and last week when having a bath, I decided to give this one a go! As with any other bath bomb, I filled the tub up and then dropped this little Christmas Pudding in. 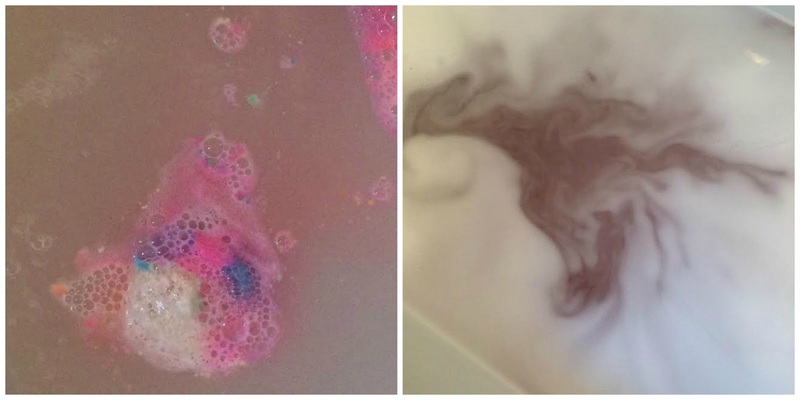 it's the most colourful bath bomb you'll ever see! As soon as the Pudding has hit the water it immediately starts fizzing and pouring out a rainbow of pinks, purples, blues, whites and greens, as you can see from the left picture below, until eventually you have cloudy pink water as seen in the picture on the right. I loved the was this bath bomb unfolded when it plunged into the water, it's definitely one of the most colourful ones I have used, and I think part of the excitement over the bath bombs is seeing them dramatically change the colour of the water which is truly amazing! The other exciting part of using a bath bomb is the smell. In the description for the Luxury Pud, it says it has lavender in it, but in all honesty I couldn't smell lavender. It's a very sweet smelling bath bomb, it smells exactly like Snow Fairy if you have ever tried that shower from Lush, which is so lovely to me, however some people may find it overpowering. Overall, this is a wonderful festive treat from Lush, and I would definitely consider purchasing again when the Christmas range comes out again!